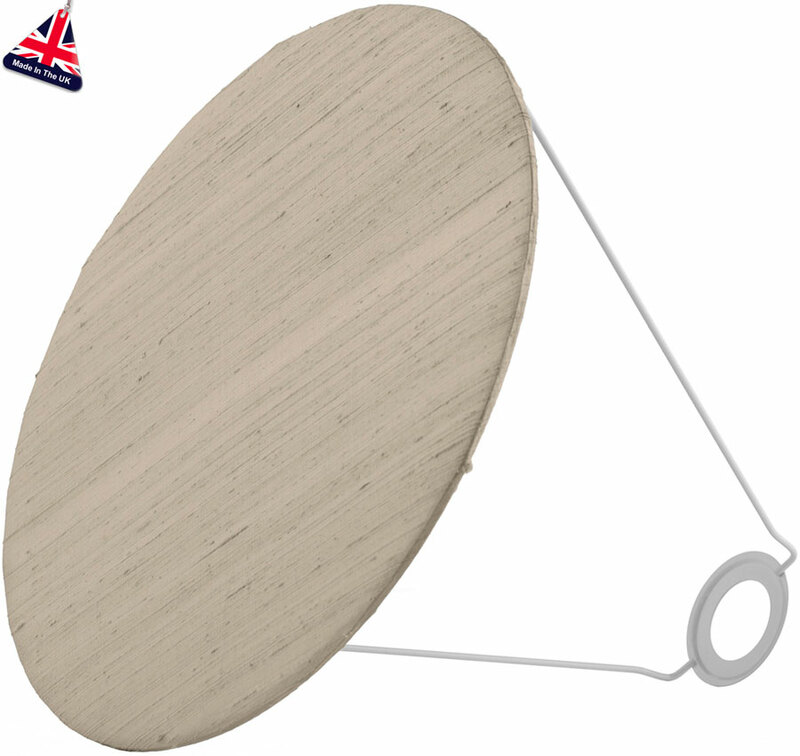 This large diffuser – baffle, will fit inside the large Zuccaro lampshade. The diffuser is slightly smaller in diameter than the lampshade, allowing light to fall through this space. The baffle can be covered in the same colour silk as your pendant, or you can choose a contrast colour for a two tone effect. Please state your colour choice in the comments box at checkout.